Printed tag pioneer Kovio has raised US$15million in new equity financing led by Tyco Retail Solutions, a leading retail inventory and asset protection specialist. The funding will enable the pair to “deliver solutions that take advantage of the emerging infrastructure of near field communication enabled devices and printed silicon capabilities,” according to a joint statement. Tyco provides technology to help retailers reduce theft and improve store security, but can also help measure shopper loyalty and conversion by monitoring how many people enter a store and at what times. Adding Kovio’s low-cost technology could pave the way for mass-produced interactive tags to be used in-store to communicate with customers, who would be able to read the tags with their NFC-enabled mobile phones. The two firms see the tags being used to deliver product information and targeted promotions, and to verify product authenticity. 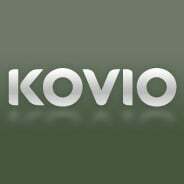 “We are delighted to be partnering with Tyco to bring to market the world’s first commercially available products that leverage Kovio’s printed silicon capabilities,” said Kovio CEO Amir Mashkoori. Kovio has already raised capital from Kleiner Perkins Caufield & Byers, DAG Ventures, Northgate Capital, Harris & Harris, Flagship Ventures and Pangaea Ventures — all of whom also took part in the latest fundraising round. Kovio’s RF Barcodes use printed silicon ink and thin film technology to enable RFID tags to be printed onto product labels and packaging, posters, promotional literature and coupons. The technology is expected to make it possible for NFC phones to be used to interact with everything from supermarket products to promotional flyers and more for just a few cents per unit.